With news that former Los Angeles Lakers forward Lamar Odom is doing better and will hopefully survive the tragic incident that left him hospitalized, Kobe Bryant spoke on the matter for the first time publicly on Tuesday. 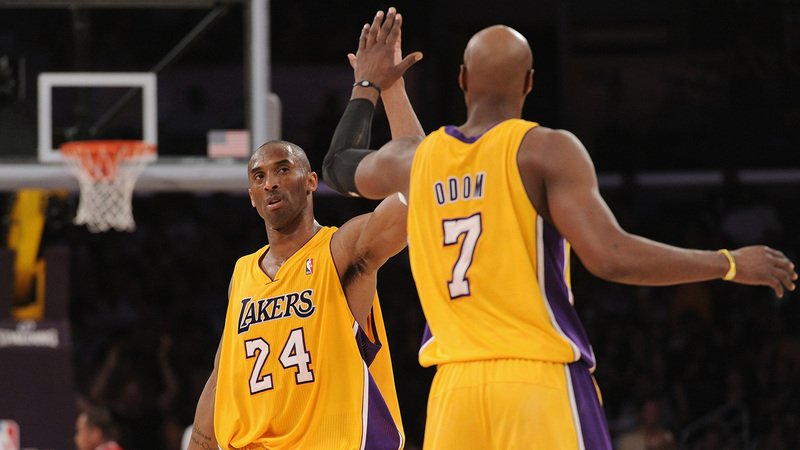 It's respectable that Bryant wouldn't comment any further and divulge Odom's day-to-say activity. It's no one's business, frankly. There has been enough speculation and commentary regarding the situation, and Odom deserves his privacy to heal and rehab in peace. Despite the good news, Odom's health status isn't clear yet, as he will likely need a kidney transplant, according to the Los Angeles Daily News. He has suffered severe lung and brain damage, too, which is obviously disconcerting. Still, it's encouraging to see his health improving slowly but surely.